No matter how satisfied you are with your creation or your designs, it is obvious that as a designer, you would definitely want to create an impact on your target audience with it. Since art is a product of public consumption, and your success depends on the reactions that you garner from your consumers, it is necessary that they love your designs. Hence, you cannot afford to ignore any minor details of a design. Every image and graphic you create needs to be perfect. Even if you are clicking photographs, it is necessary that the colors, shades, depth and light remain perfect. How can you do that? Well, with the magic touch of Photoshop tool you can achieve such perfection for your images. If you are thinking that the tool can only edit a few details in your image, then you are seriously mistaken. In fact, Photoshop is capable of doing some amazing alteration for your images. The cloning tool of Photoshop is one such feature that can work wonders for your photos. 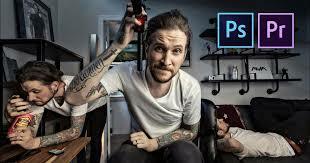 Do you want to know how to use cloning tool in Photoshop like a pro? If yes, then you must take a look at the following points to know more. Layers in Photoshop work like a mask. In fact, it gives you the liberty to work for freely and make changes. If you are using the cloning tool, make sure you select a new layer. Working on a new layer will keep the original image unchanged in pixels. And if you don’t like the changes that you have made, you can easily remove the layer after you are done and will automatically get the original image back, just like how it was before you used the cloning tool. While working in a specific area, it is necessary for you to isolate it from the rest of the graphic. So, zoom in, even till 100% if it is necessary. It will let you easily isolate the area from the rest of the picture and will also give a chance to work on the details that you might not see otherwise. When you will zoom out, you will see that the details becoming indistinguishable in the image. Use the shortcut by holding Alt key and scrolling the wheel of the mouse to do this easily. While working on cloning tool, you will have to keep changing the brush size often. According to the requirements of the changes you are making, you have to change the size of the brush. Use the keyboard shortcuts to change it quickly instead of choosing one size from the panel. Use “[“ for making the brush smaller and “]” to make the brush bigger. Setting the brush’s edge and its hardness is also necessary. The hardness will determine how easily the edit will blend with the background. More hardness, towards 1005 will make the edge hard and definite. Lower hardness towards 0% will easily blend with the surroundings. So, now as you know about these important tips, implement them in your designs..
We would very much appreciate your comment.